While tree removal is usually a last resort option, it is sometimes necessary. Sick trees, trees that uproot sidewalks, cause cracks in your foundations, disrupt sewer lines, have sustained severe storm damage or trees that are simply too close to important structures are all examples of trees that need to be removed. 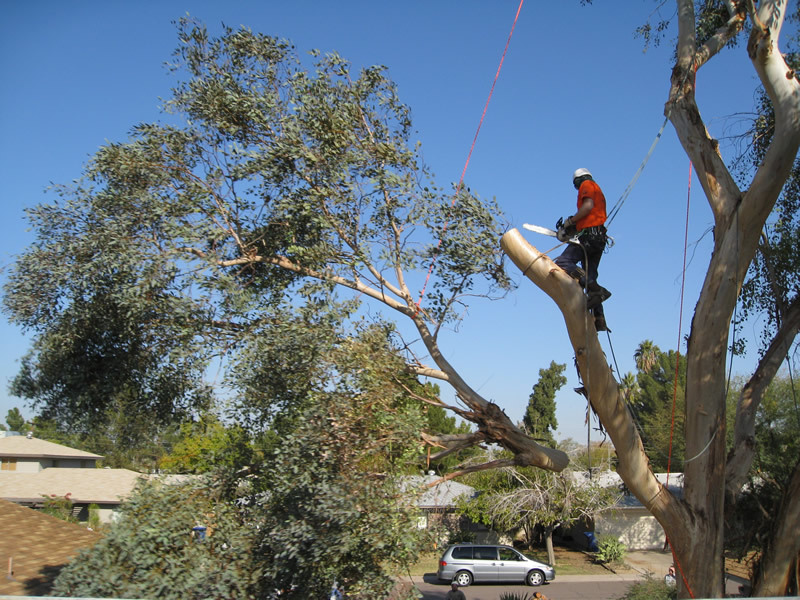 We have many years of experience in the safe removal of all tree types. We are qualified to remove any tree size from a tree of 2 metres all the way up to enormous backyard trees of 30 or more metres. We understand that your property is a big investment and we want our customers to know that we take every precaution to ensure that the tree that is going to be removed is done so under strict safety regulations and overseen by qualified staff at all times.